Have you seen some of these lifestyle magazines where they interview a celebrity and then they ask them to show everything that’s in their purse! Some have a $500 wallet in their $1000 purse and you think- nope she is not like me, but others are normal and carry tissues and your like- YES! Thank you! 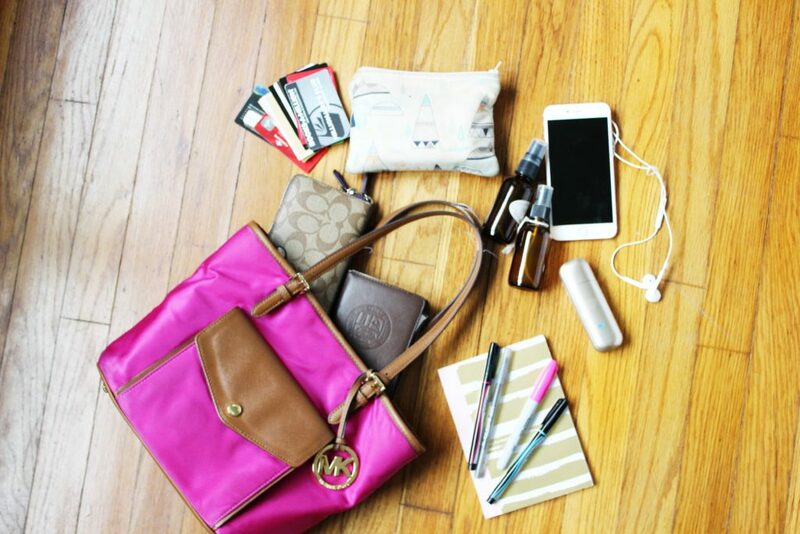 Everyone has to wipe their nose!Anyway, I thought it would be fun to show you what’s in my purse! * Essential Oils Bag– This holds all my oils I carry with me. My staples that I carry every day are Breathe Again, Deep Relief, R.C & Lemon Mix, Season Trio Blend, Summer Perfume, DiGize and Peppermint Mix, Lavender, Peppermint, Valor, and Lavender Lip Balm. Clearly, we see I have an oil hoarding problem. * Handheld diffuser- this is SO GREAT for on the go. Right now it’s filled with Release Oil because stress is not good. Release oil is good, stress is not! * Gift Cards- because we started Financial Peace University and that’s how we are going to make it! This entry was posted in Married Life, Young Living Essential Oils and tagged celebrites, essential oils, lifestyle, purse, whats in my purse. 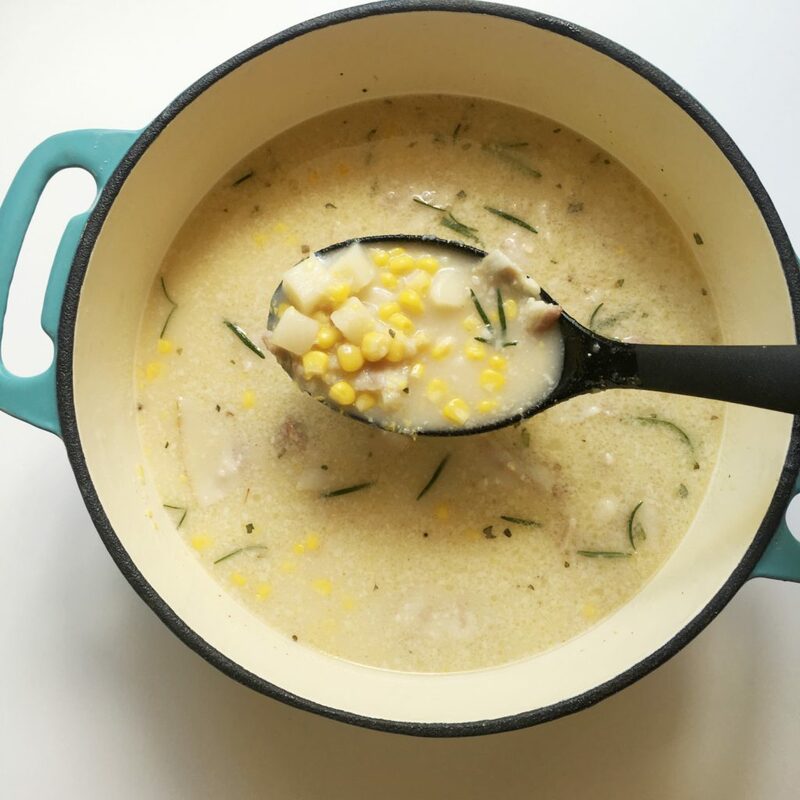 A few weeks ago we had a family reunion and I figured Summer Corn Chowder would be perfect! I could put in on the stove when we left for church and it would be ready by the time I got home! I’ve shared my love for Mrs Terri’s Corn Chowder, but to me it’s a heavy soup. PERFECT for winter, but I wanted something on the lighter side. I found this recipe on Pinterest and quickly went to work on how I could adapt it! * Add Earth Balance Buttery Spread to pot and cook onions and bacon until they turn brown. * Next add the garlic and let it brown. * Add the 5 cups of water and bring to a boil. * Serve with diary free cheese, chives, diary free sour cream or more bacon! Enjoy!